Shopping for Harry Potter Jewelry? Decisions, decisions. Carry a little piece of the wizarding world every where you go! 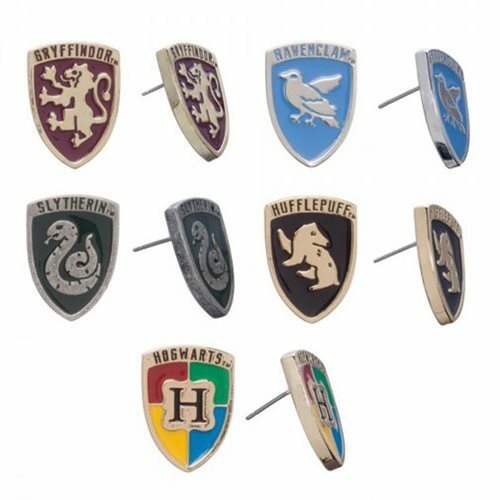 Represent a different Hogwarts house every day of the week with this Harry Potter Crests Earring Set 5-Pack. A magical gift for any Harry Potter fan in your life! Ages 14 and up.